Unbuilt Santa Barbara explores architects’ and planners’ visions for the city through drawings and a model of unrealized projects, including redevelopment schemes and alternative designs for landmark buildings. These drawings propose Spanish Colonial Revival romanticism and mid-century modern pragmatism for State Street and other areas of the City. 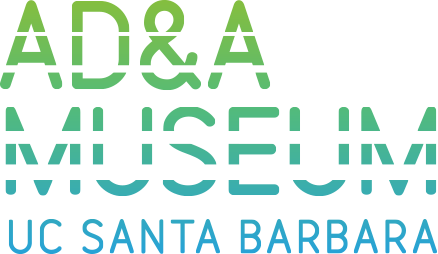 This exhibition is drawn from the Architecture and Design Collection at the AD&A Museum and is curated by Christina Chiang, Assistant Curator, and Chris Marino, Project Archivist. George Washington Smith, Ambassador Hotel, project (Santa Barbara, Calif.), 1922 Rendering by Lutah Maria Riggs; watercolor, pencil, and conte crayon on paper; 25 1/4 x 39 1/2 in. ; George Washington Smith papers.